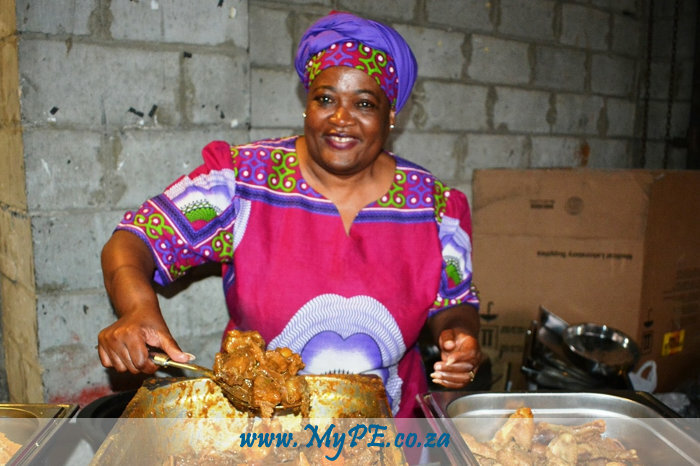 Traditional dishes served by Ms Noxolo Sume of Jeya Jazz Corner Tavern in New Brighton. Nelson Mandela Bay Tourism (NMBT) hosted their Annual General Meeting at Chicky’s Yard Baakens Valley On 24 November 2016, under the theme “Township Ikasi Vibes”, where esteemed guests such as: Members of the NMBT Board, NMBT CEO: Mandlakazi Skefile, SAT CEO: Sisa Ntshona and various relevant stakeholders gathered to reflect on the highlights and challenges faced in the tourism market over the 2015/16 financial year. Acknowledging the industry challenges, NMBT Board Chairperson: Mr Sithembiso Foster praised NMBT for the success obtained utilising digital strategy to engage with various niche markets on a global platform and for being awarded an unqualified audit report by PKF Independent Auditors & Chartered Accountants for the 2015/16 financial year, which reflects a strong organisation with optimal functioning financial processes and systems. Capitalising on the city’s ideal sporting facilities and unique tourist attractions, NMB hosted the 70.3 World Ironman Championships delegation in May 2016, showcasing its facilities and unique tourist attributes, after being shortlisted alongside country’s such as: Nice (France) and Budapest (Hungry) to serve as the host city for the two-day competition. 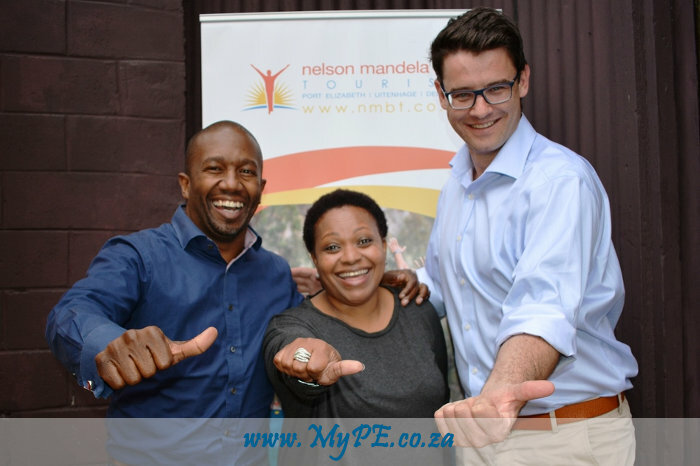 As a city, hosting the event will see an influx of more than 16000 foreign athletes and visitors into the city, leading to an economic injection for the tourism and hospitality sector, also showcasing NMB on a global marketing platform. Concerns around safety & security, the impact of township tourism and inadequate budget for delivering great results contributed to some of the challenges faced by NMBT, as well as the closing of Red Location Museum, which was flagged as a priority by the NMBT board members, along with alleviating safety and security concerns. During her report, NMBT CEO: Ms Mandlakazi Skefile shared the successes of implementing digital strategy, which incorporated a citizens campaign “#Sharethebay”, encouraging locals to experience the treasures available in and around the city, creating a positive destination image, where local travellers have the opportunity to be home-grown ambassadors of the city, through social media and interactions with current and potential visitors. The city has also seen a spike in the number of visiting cruise ships to the Port of Port Elizabeth, where 24 cruise liners graced the shores of NMB in the year, such as the maiden voyage of Queen Victoria, which docked on the 19th of April with over 2 000 passengers and 1 000 officers and crew on board. Other notable visits included the docking of the Queen Mary and the Queen Elizabeth cruise liners. NMBT have managed to sustain their local economic contribution, with the tourism industry contributing to a direct spend of R7,311,236,872 during 2015, up from the R 6,572,854,919 spent in 2014, sustaining approximately 48,373 jobs. Top foreign market visitors during 2015 were from Germany, UK, US, Netherlands, Australia, France and Switzerland. NMB also saw more than 50% growth in arrivals from African countries such as: Zimbabwe, Namibia, Ethiopia and Botswana. To increase visitor traffic, various marketing initiatives were implemented to showcase NMB as the ideal tourist destination, with initiatives such as: seasonal campaigns, the citizen campaign and domestic promotional packages. NMBT has actively been involved in the promotion of the city and its surrounds by participating in and attending a number of national as well as international trade shows. Key marketing platforms that were identified by NMBT include: consumer shows, e-marketing, social media and the NMBT website. The Nelson Mandela Bay pass also formed a crucial part of the marketing strategy, as it highlights, markets and promotes the City’s attractions, whilst offering good value for money. The activities included in the pass range from family experiences, adrenalin excursions, leisurely picnics, wildlife and much more. Guest speaker and son of New Brighton: Mr Sisa Ntshona (South African Tourism CEO) commended NMBT on their successes, despite the vast array of challenges faced by the industry. He was pleased with the clean financial audit and the stable manner in which the organisation was being managed. Guests and stakeholders then mingled, whilst being entertained by live jazz bands and a DJ. The NMBT AGM proved both informative and entertaining, leaving guests with a greater understanding and perspective of NMB, and its standing in the local and national tourism sector. Getting everyone setup and ready to take a Sho’t Left to Nelson Mandela Bay this summer was South African Tourism CEO, Mr Sisa Ntshona, Nelson Mandela Bay Tourism CEO, Ms Mandlakazi Skefile and MMC for Economic Development, Tourism and Agriculture, Cllr Andrew Whitfield.